Australia’s moderating housing market has failed to make a meaningful dent in housing affordability, with all five of Australia’s major housing markets ranking as “severely unaffordable” in 2018. Despite some of the largest house prices falls in 35 years, Australian house prices relative to incomes are more than double the rate of the early ’80s, with no “affordable” markets. The results, reported in Demographia’s annual international housing affordability survey, show some movement from last year with Vancouver displacing Sydney as the world’s second least affordable market. Only Hong Kong is less affordable, ranking number one for the ninth consecutive year. The survey, in its 15th year, covers 209 metropolitan housing markets and rates middle-income housing affordability using the “median multiple” – the median house price divided by median household income. A rank of 3 and under is classified as “affordable”, while 3.1-4 is “moderately unaffordable”, 4.1-5.0 “seriously unaffordable” and anything classified as 5.1 and over is characterised as “severely unaffordable”. 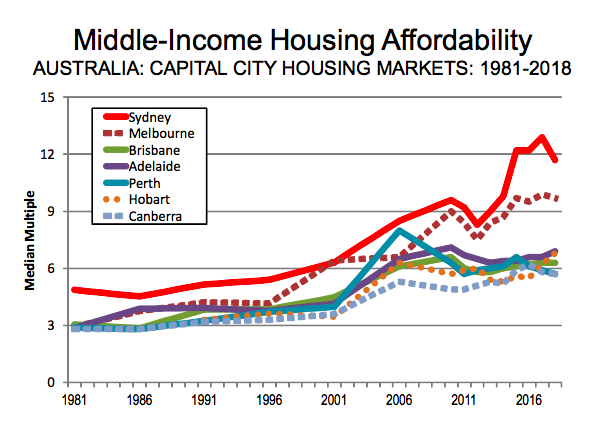 Australia's major housing market median multiple is a severely unaffordable 6.9. With a median multiple of 11.7, a buyer in Sydney would need to save for almost 12 years to buy a house. Melbourne remains the fourth least affordable market, with an average decade-long wait to buy a home. Adelaide comes in at 16th of the 91 major markets, while Brisbane is ranked 18th least affordable with a median multiple of 6.3. Perth is the 24th least affordable market in this year’s survey. The report blames the implementation of urban containment, or “urban consolidation”, policies which limit new housing development in the fringe areas of cities. 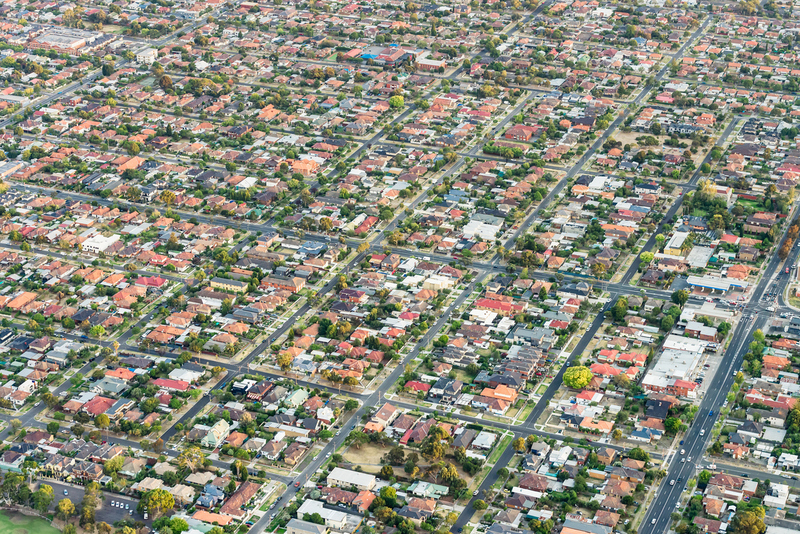 “Australia’s generally unfavourable housing affordability is in significant contrast to the broad affordability that existed before implementation of urban containment,” report authors Wendell Cox and Hugh Pavletich said. “The price-to-income ratio in Australia was below 3.0 in the late 1980s. As for market commentary, the report quoted the 2018 OECD economic survey of Australia describing its housing market as a “source of vulnerability”. “Prices have more than doubled in real terms since the early 2000s and household debt has surged. “So far, data point to a soft landing without substantial consequence for the overall economy.